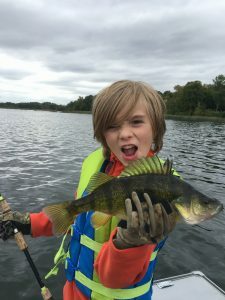 The fall bite on Clear Lake is approaching fast! 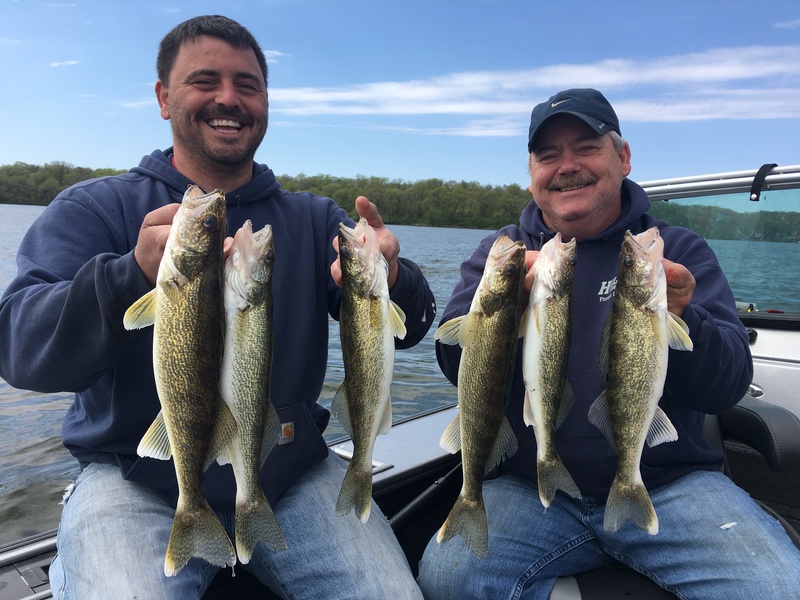 If you would like to get in on some fall Walleye and Crappie fishing please give us a call. We have also been booking ice fishing trips and sleeper house rentals. 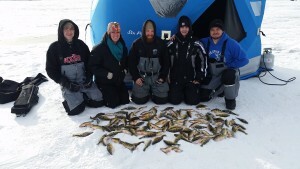 Call today for ice fishing details. Thanks and see ya on the water. 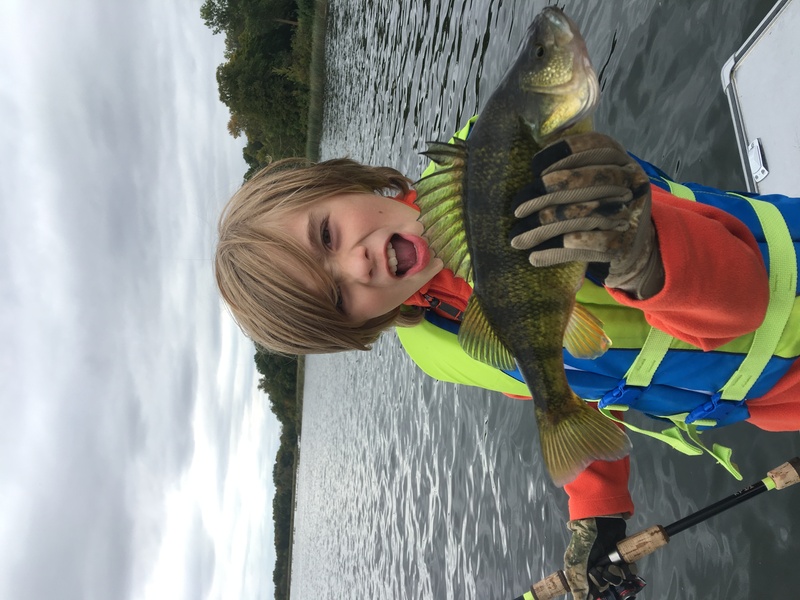 This entry was posted in Fishing Report and tagged blue gills, charter fishing, clam outdoors, clear lake bait and tackle, ice fishing, Ice Team, Iowa Fishing, Iowa Fishing Guide, iowa guide, Kevan Paul, kevan pauls guide service, perch, walleye, Yellow bass on August 28, 2018 by Kevan Paul. 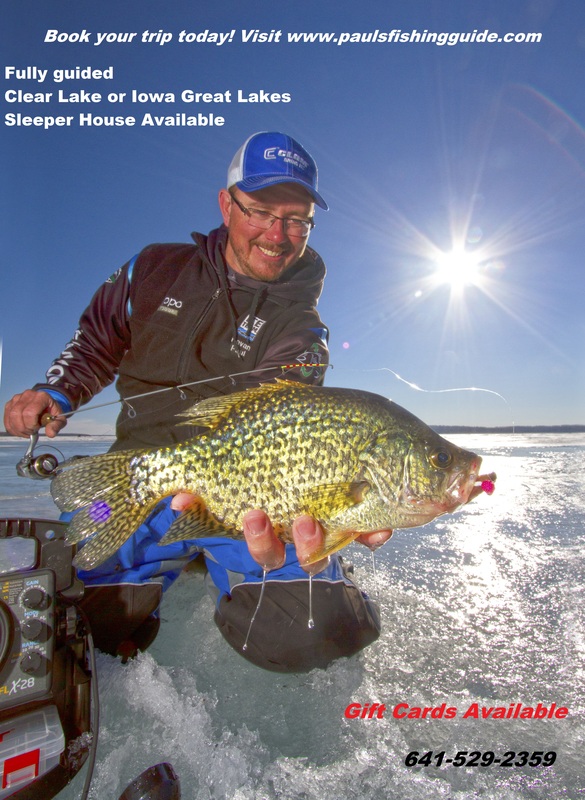 It might be hot but it’s never to early to book an ice fishing trip or sleeper house. 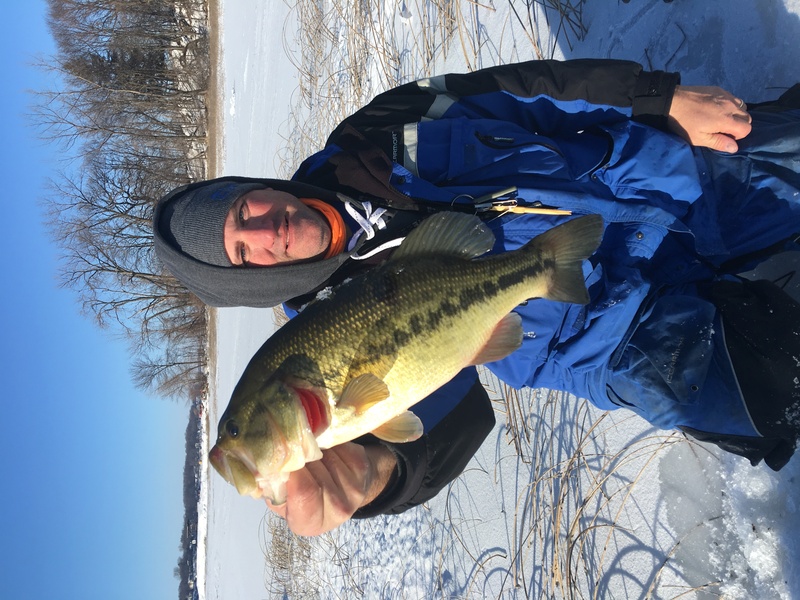 We have a dozen in the books already and we get one every week so if you’re after a special weekend this winter make sure to get in the books sooner then later. Thanks and have a great summer. This entry was posted in Fishing Report and tagged charter fishing, clam outdoors, Clear Lake, clear lake bait and tackle, Fishing Report, Guide, guide service, ice fishing, ice house, Ice Team, Iowa Fishing, Iowa Fishing Guide, Iowa Great Lakes, iowa guide, kevan pauls guide service, Yellow bass on July 10, 2017 by Kevan Paul. Fishing is crazy right now! It’s amazing how good the bite is right now. This week has been really good for almost everything. 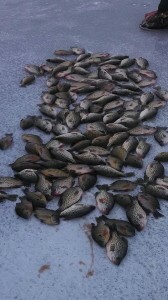 Crappies Walleye Yellow Bass have all been on the chew. We have 4 guides running for us right now and we do have some extra room if your looking for a trip. 4 hr trips are $200 and 7 hr run $300. Muskie trips are a little extra. We offer shore lunch packages for $25 extra per person. 2 person minimum. Corporate trips are something that we really work hard at. If you’re looking to take out a large number of people with 10 to 20 fishing boats we can make that happen. 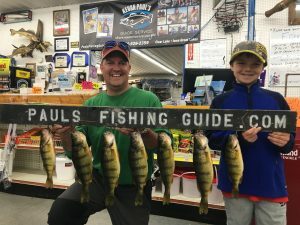 This entry was posted in Fishing Report and tagged blue gills, Clear Lake, clear lake bait and tackle, crappie, ice fishing, Ice Team, Iowa, Iowa Fishing Guide, Iowa Great Lakes, iowa guide, Iowa muskie, kevan pauls guide service, pauls fishing guide, Smallmouth Bass, Spirit lake, walleye, West Okoboji, Yellow bass on May 11, 2017 by Kevan Paul. Spring has arrived and so has the phone calls! The phone has been ringing off the hook! Thank you every one of all the support. If you’re looking for a fun time to catch a pile of fish the spring has to be one of the best times. The last couple weeks of April and the month of May is my favorite time to guide open water. 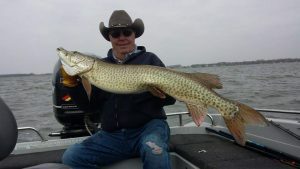 Usually the trips are Walleye and Crappie but we do target Muskies often as well. This year we have 4 great guides so if your after a weekend day we can make the happen. Just a reminder that we cater many corporate trips each year and they can very from just the average trip to the luxury style with shore lunch, trophies, lodging and vip pickup from the hotel. We have managed groups as large as 40 people. 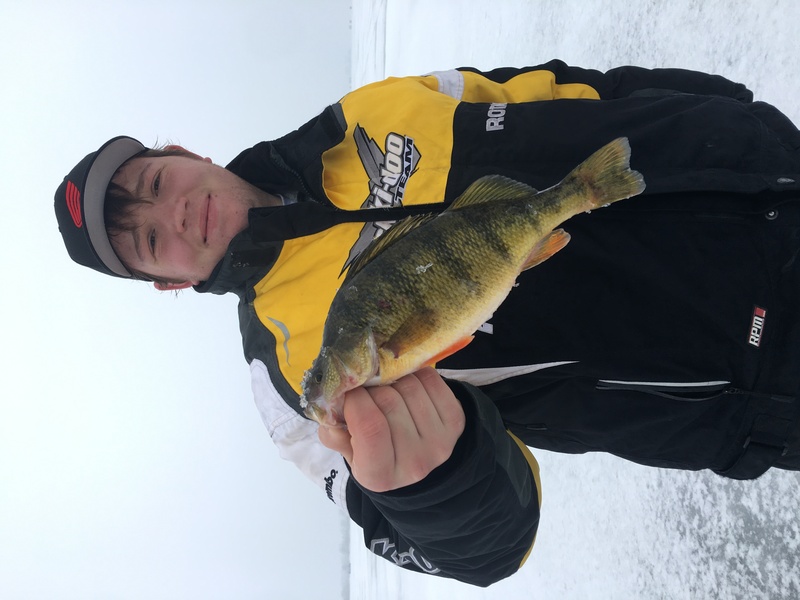 This entry was posted in Fishing Report and tagged blue gills, boat, charter, charter fishing, clam outdoors, guide service, guide trips, ice fishing, Ice Team, Iowa Great Lakes, iowa guide, Iowa Musky, Kevan Paul, kevan pauls fishing guide, Panfish, perch, Yellow bass on March 31, 2017 by Kevan Paul. The bite has been pretty good in the Clear Lake area! 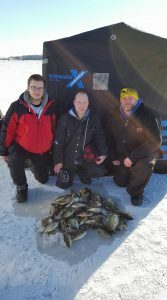 This entry was posted in Fishing Report and tagged blue gills, charter fishing, clam outdoors, Clear Lake, Clear Lake Iowa, fishing guide, Fishing Report, Guide, guide service, ice fishing, ice house, Ice Team, Iowa Fishing, Iowa Fishing Guide, Iowa Great Lakes, iowa guide, kevan pauls guide service, pauls fishing guide, Sleeper House Rental, walleye, Yellow bass on January 9, 2017 by Kevan Paul. Grand Opening and Much More Thank YOU! I just want to say thank you for all the support in the 2016 open water season. This year was a pretty well rounded one with many Walleye and Panfish being caught we even got into a good number of Muskie. Clear Lake is really starting to become a premier fishing destination and we are excited for the future. 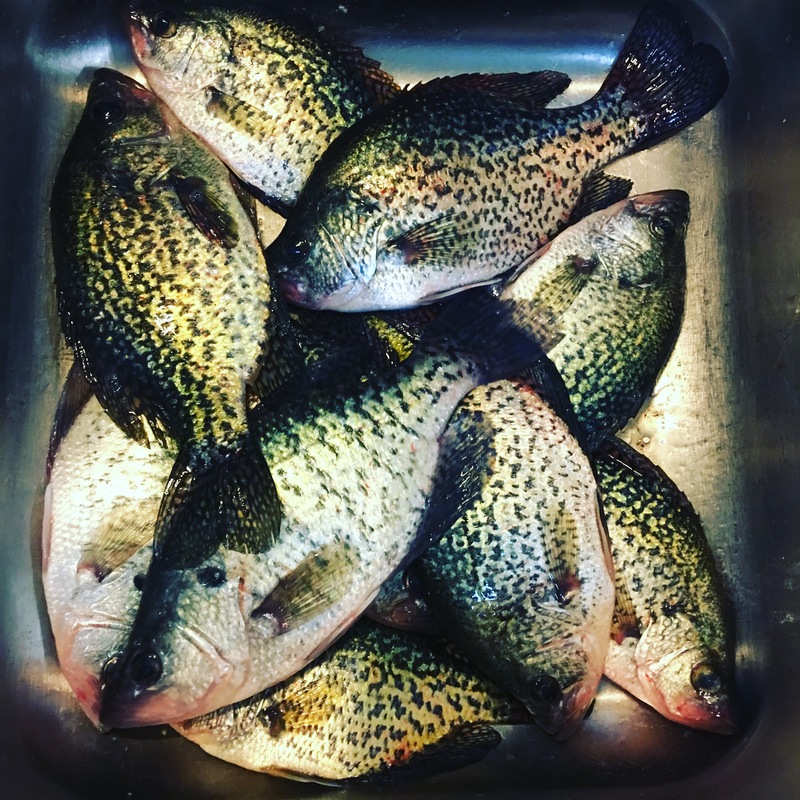 We opened a bait shop in May of 2016 and that has taken off very well. We will be having a Grand Opening Nov. 18 – 20th. Along with our grand opening we will also be having our Ice Season Kick Off. That weekend is going to be something special. We will be doing a live broadcast from 11am to 1pm on Saturday with Jay Brooks and Kiss Country. Over that weekend we will also be having many seminars and product demos to show off the new product for 2017. The Grand Opening is going to be fantastic! We are going to have many door prize drawings over the weekend and you will not want to miss out. Looking forward to a great Ice Season!!! This entry was posted in Fishing Report and tagged Bait shop, blue gills, charter fishing, clam, clam outdoors, Clear Lake, clear lake bait, clear lake bait and tackle, Clear Lake Iowa, Fishing, Fishing Report, ice fishing, Ice Team, Iowa Fishing, Iowa Fishing Guide, Iowa Great Lakes, iowa guide, Iowa Musky, Kevan Paul, okoboji, Okoboji fishing, Tackle shop, Tackle store, vexilar, walleye, Yellow bass on October 5, 2016 by Kevan Paul. Muskies are on the chew and its time for us to go after them! 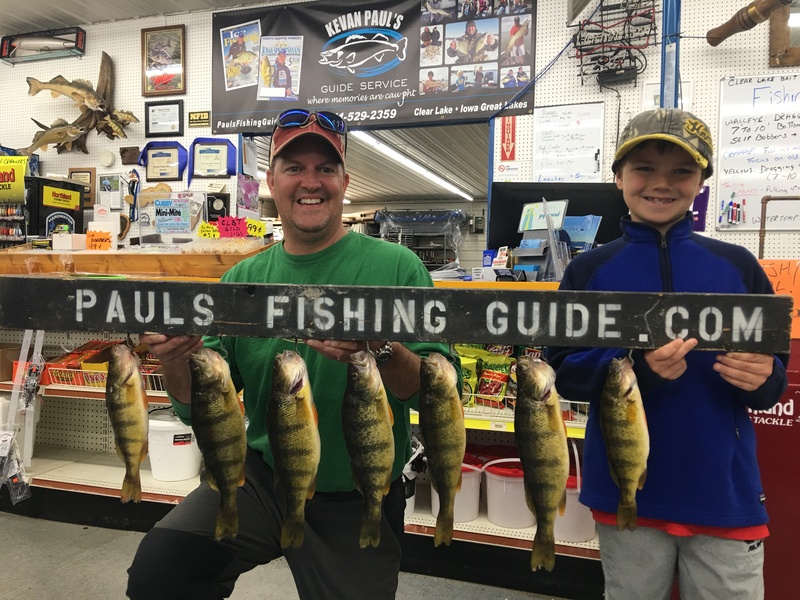 This year we have been targeting everything from Perch to Walleyes so it will be nice to change things up and start chasing fish with an attitude. 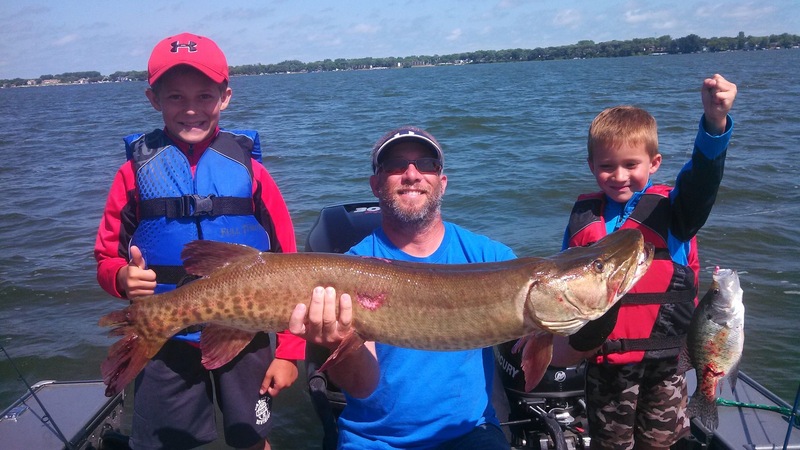 The Clear Lake Muskie population is awesome and the DNR do a great job stocking fish on a regular basis. This lake will almost always give you a shot for a fish of a life time. Pictured is a good client Dennis Clark with a 49″ Clear Lake fish. It was CPR’d and named Lucy. 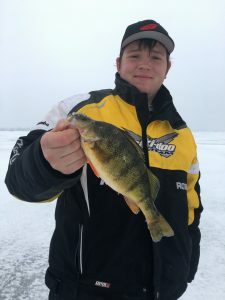 This entry was posted in Fishing Report and tagged blue gills, boat, charter fishing, clam outdoors, Clear Lake, Clear Lake Iowa, crappie, east okoboji, Fish, Fishing, fishing guide, Fishing Report, guide service, ice fishing, ice house, Ice Team, Iowa Fishing, Iowa Fishing Guide, Iowa muskie, Kevan Paul, Musky, pauls fishing guide, perch, Spirit lake, West Okoboji, Yellow bass on June 9, 2016 by Kevan Paul. 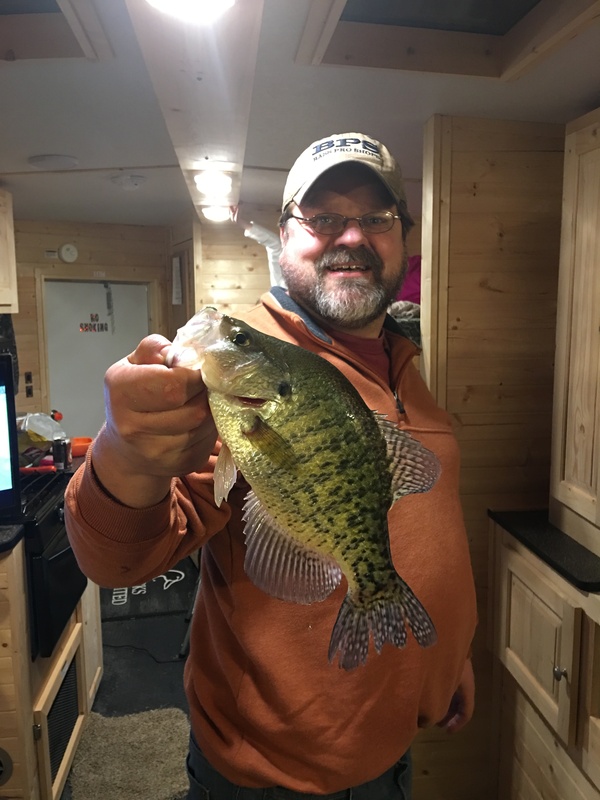 This year the sleeper shack has been doing its job by producing some nice fish. 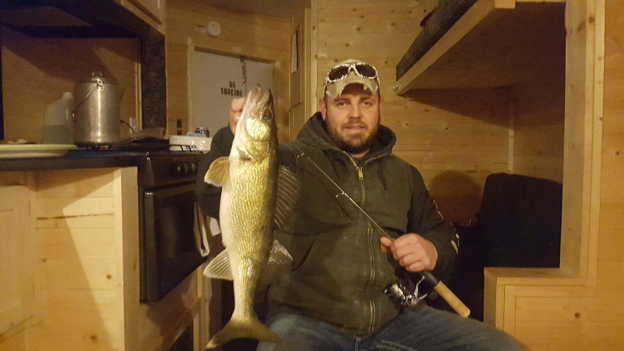 Its not lights out but its good enough to where you can chase fish during the day and pop some nice ones in the shack at night. The guide service is in neutral at this time because of the big tournament this weekend. 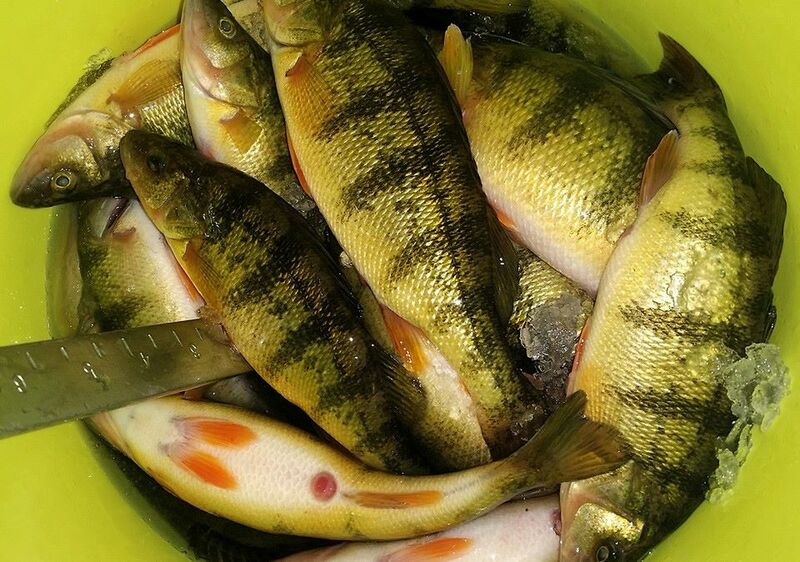 This weekend is the 4th annual Yellow Bass Bonanza and we have 510 anglers competing for over $30k in prizes. Monday the 15th we will be in full swing again and we do have some availability before the end of the month. 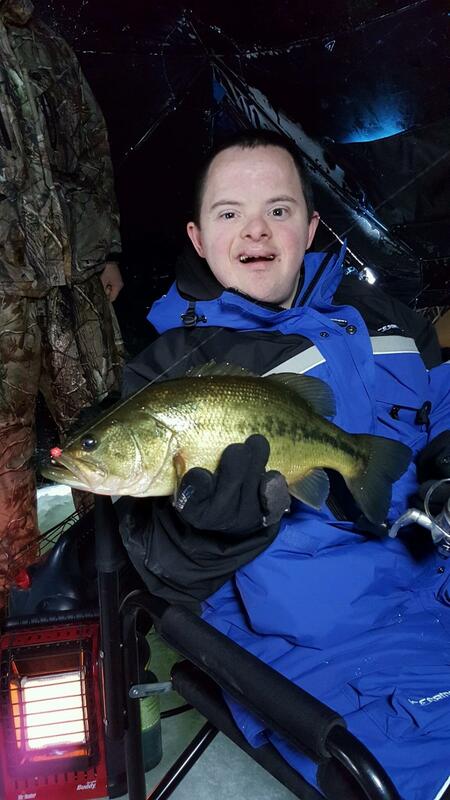 Please call for dates if you have interest in fishing with us before ice out. 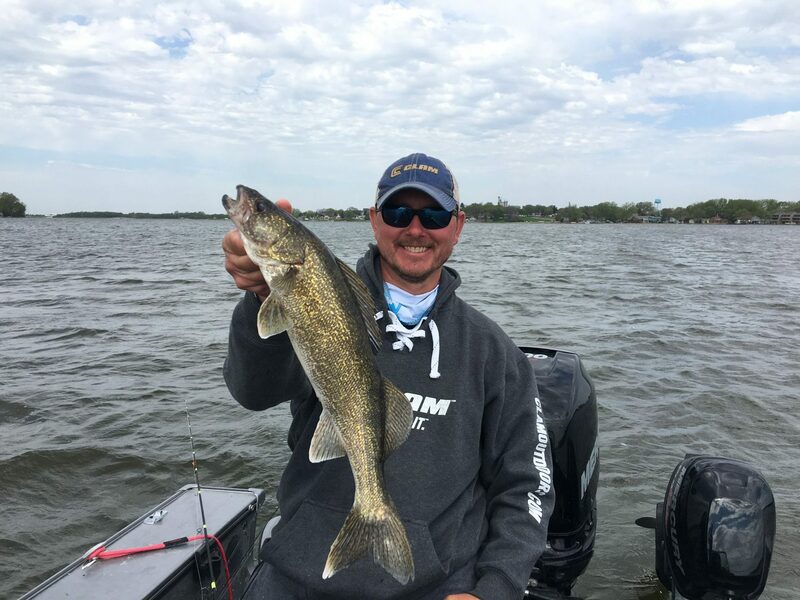 I would also like to mention spring Walleyes. The 2016 Spring Walleye bite will be one of the best in years. The fishing over the last two open water seasons has been great and this year should be nothing less. If your looking for Walleyes and Crappies book with us in April May or June. If you want Yellow Bass / Walleye Mix June and July. If you want to Musky fish book May – Oct. Please visit my rates page for all the pricing. Feel free to call anytime. 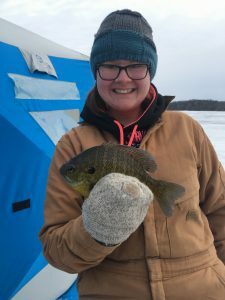 This entry was posted in Fishing Report and tagged blue gills, boat, charter fishing, clam outdoors, Clear Lake, Clear Lake Iowa, crappie, Fish, Fishing, fishing guide, Fishing Report, Guide, guide service, ice fishing, ice house, Ice Team, Iowa, Iowa Fishing, Iowa Fishing Guide, iowa guide, Kevan Paul, Muskie, Musky, okoboji, Okoboji fishing, pauls fishing guide, Service, Sleeper House Rental, Smallmouth Bass, walleye, West Okoboji, Yellow bass on February 10, 2016 by Kevan Paul. Jan 8th 9th and 10th I’ll be at the Des Moines Boat and Outdoor Sports Show. (seminars daily and I’ll have a booth) I’ll be doing a drawing for a guided fishing trip so please stop in and get signed up. This fishing has been very good on Clear Lake but its shore and boat fishing at this time. Once we get ice its going to be lights out!! 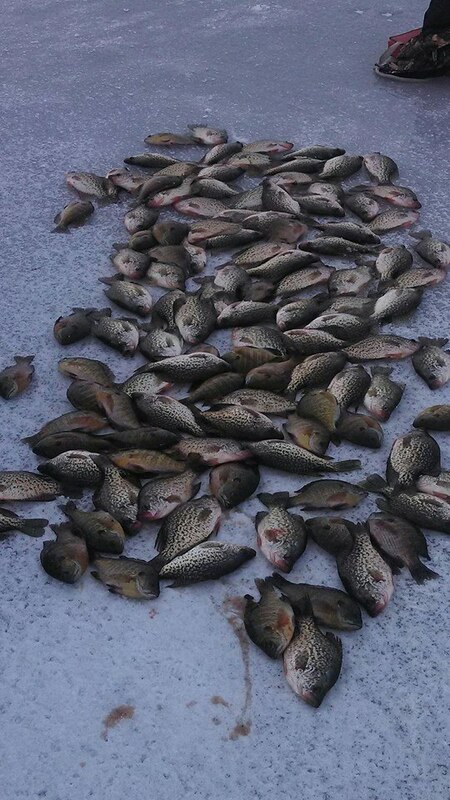 We have been taking large numbers of reservations because southern Iowa will not have much ice this year. This year like last year we will have 3 guides on Clear Lake so don’t be afraid to give us a call if your interested. 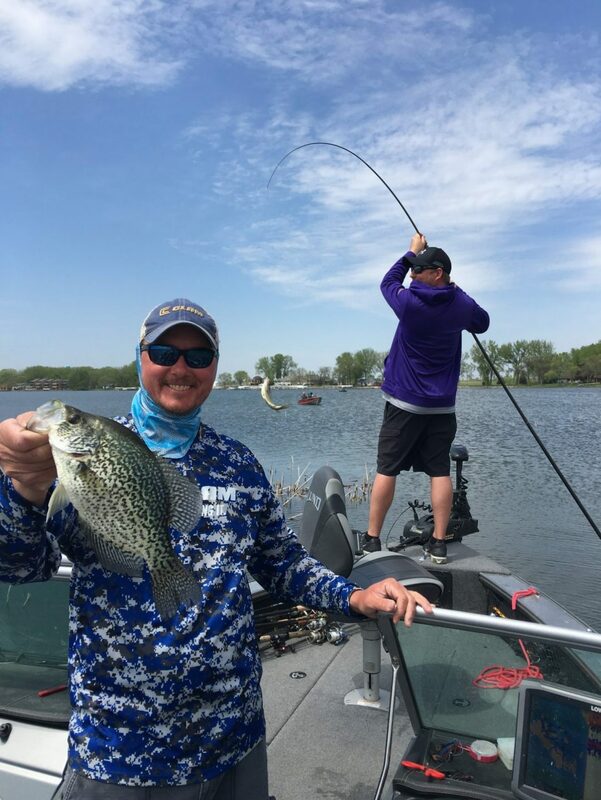 We will also be doing a lot of work at Okoboji this year. The bite at the IGL’S could be record setting! 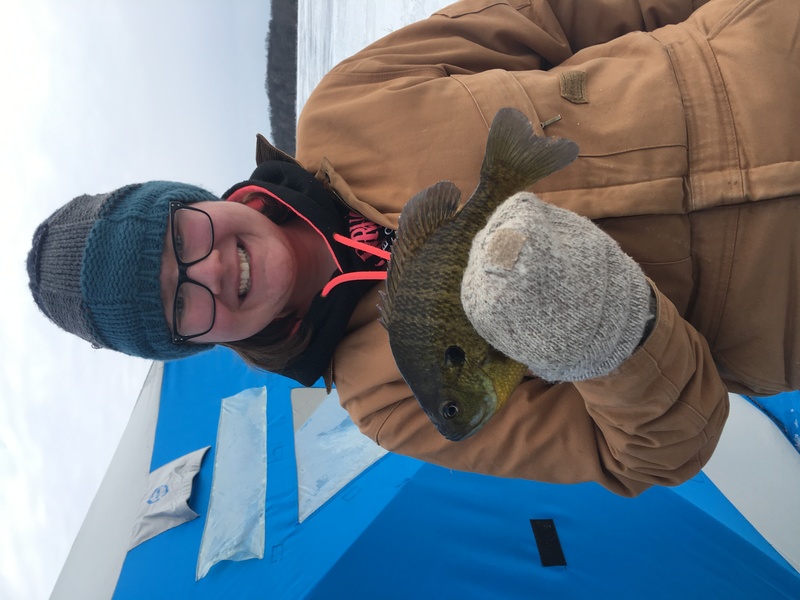 This entry was posted in Fishing Report and tagged blue gills, boat, clam outdoors, Clear Lake, crappie, Fishing, fishing guide, Fishing Report, guide service, ice fishing, ice house, Ice Team, Iowa Great Lakes, kevan pauls guide service, Panfish, perch, Spirit lake, walleye, walleyes, West Okoboji, Yellow bass on December 17, 2015 by Kevan Paul. Its been a good week for reservations. Its funny, I go a week without any then boom 5 or 6 come in two days. I sold 3 gift certificates and 2 reg. bookings yesterday and today. I’ve been also taking reservations for the sleeper house. Its a 8×20 Ice Castle with knotty pine interior, satellite tv, stove, oven, sofa, dinning table and 4 beds. The sleeper runs 200 a week night or 250 a night on weekends and weekends have a two night minimum. Yesterday Clear Lake was iced over and after all the rain today it opened back up. This early ice bite should be lights out. Most of the fish haven’t been touched in two months and they should be ready to chow down. 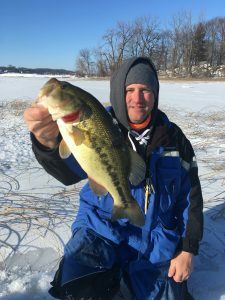 We are also looking forward to the hot bite at Okoboji this year. We have holiday gift certificates available by email. These trips go over very well, there is nothing better to give than something that creates awesome memories. Feel free to give me a call if you have any questions. Thank You Happy Holidays! This entry was posted in Fishing Report and tagged blue gills, boat, charter, charter fishing, clam outdoors, Clear, Clear Lake, Clear Lake Iowa, crappie, east okoboji, Fishing, fishing guide, Fishing Report, ice fishing, ice house, Ice Team, Iowa, Kevan Paul, okoboji, Panfish, rental, Sight FIshing, sleep house, Sleeper House Rental, Spirit lake, walleye, walleyes, West Okoboji, Yellow bass on December 1, 2015 by Kevan Paul.